Dr. JIA Ning got her Ph.D degree in Educational Administration from Fac- ulty of Education, Beijing Normal University in 2014. Research Domain: Principal leadership; School organizational change and organizational sociology. 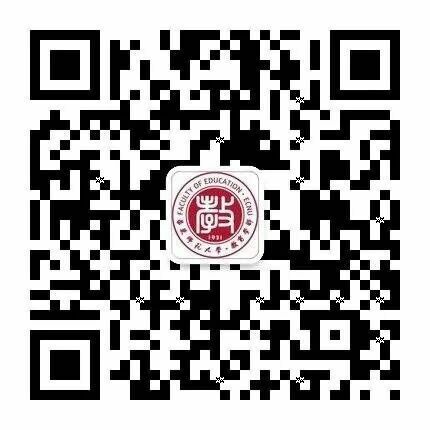 2015-2018, Study on the reform and development of rural primary schools in Liaoning province : A balancing urban-rural development perspective, Sponsored by Liaoning Department of Education. 2015, Research on evaluation system of scientiﬁc and technological talents in Shenyang: A basis of Classiﬁed Management Perspective, Sponsored by Shenyang Municipal Social Science Department. 2015-2017, Strategic Development of Regional Higher Education: A Management Perspective, Sponsored by Liaoning Department of Education. 2015, Research on the reform of University TeachingAssessmentSystem: A basis of Classiﬁed Management, Sponsored by Liaoning Association of Educational Evaluation. 2013-2014, Strategic Development of Regional Higher Education: A Management Perspective, Sponsored by Liaoning Association of Higher Education. 2010-2011, Strategic Change of the Status Quo of Pre-school Education in Rural Xinmin, Sponsored by Liaoning Provincial Federation of Social and Scientiﬁc Association. Collaborating investigator:2012-2013, Constructing Instructional Manage- ment Culture of Primary Schools in Beijing, Sponsored by Beijing Gov- ernment. 2011-2014, Transformation of Educational Development Mode, Sponsored by the National Social Science Fund. Current interests:Primary pincipals’ transformational leadership, school organizational change, school culture. Jia, N.(2013, November). Transformational leadership and school devel- opment: a comparative case study of two primary schools. Paper accepted at the 8th BNU-QUT Doctoral Workshop, Beijing. Jia, N.(2012, June). Effects of the instructional management behavior of principal on child and youth culture re-formed restructure: a case study. Paper accepted at the 7th QUT-BNU Doctoral Workshop, Brisbane. Jia, N.(2005, November). An analysis of the curricula development of research universities in China: a philosophy perspective. Paper accepted at the Specialized Committee of Higher Education 2005 Annual Academic Conference, Shanghai. Mu, G. M., & Jia, N. (2016). Rural dispositions of ﬂoating children within the ﬁeld of Beijing schools: can disadvantaged rural habitus turn into recognised cultural capital? British Journal of Sociology of Education，37(3),408-426. Jia, N., & Wu, Y. Q. (2014, June). Reform of institutions on cultivation of technological intellectuals. Educational Science Research. Jia, N., & Wu, Y.Q. (2013).Transformation of vocational education. Research in Educational Development, 347(7), 16-20. Jia, N. (2011). Construction of new model of the relationship between government and university: a perspective of organizational theory. Modern Education Science/Research in Higher Education, 320 (05),114-117. 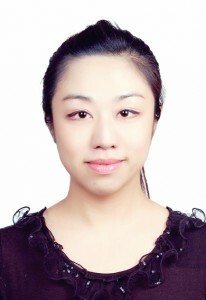 Jia, N. (2011). Strategies of changing the status quo of rural vocational education. Journal of Shenyang College of Education, 13(06),17-19. Jia, N., & Zhang, J.Y. (2010). Career planning for undergraduates: a response to the global ﬁnancial crisis. Journal of Shenyang College of Education,12(02),25-27. Jia, N. (2008). Strategies for the improving the science research management team building in Chinese universities. Science and Technology Management Research, 25 (01), 127-128. Jia, N. (2007). Curriculum provision of the intellectual cultivation in China and America: a comparative analysis. China Agricultural Educa- tion,76(2),23-26.